How is color a key component of a branded experience? Kristie Oldham, NCIDQ, IIDA brings over 20 years of industry experience as Partner + Design and Trend Director at Richardson Design, an interior and graphic design consultancy creating strategic, meaningful brand experiences in the hospitality, retail and entertainment industries. A partner of the studio, Kristie drives impactful design results for clients-from interior design to graphic design and trend forecasting. Her experiences result in spaces that people fall in love with, and over the years she has helped to grow the businesses of many of the studio’s key clients including Michael Symon, Aramark Sports & Entertainment, Paladar Restaurant Group and Canada Goose, and has gained notoriety from industry authorities for projects featured in Hospitality Design, VMSD and Restaurant Development + Design magazines. As director of trend forecasting, Kristie has worked with manufacturers like Lowe’s, KraftMaid, and Moen to forecast consumer preference with lifestyle and interior trend services. Save your spot at our annual Two-Day Super ChromaZone Color Forecasting Workshop this month in Solon Ohio to hear Kristie present three case studies of how color is a key component of a branded experience. 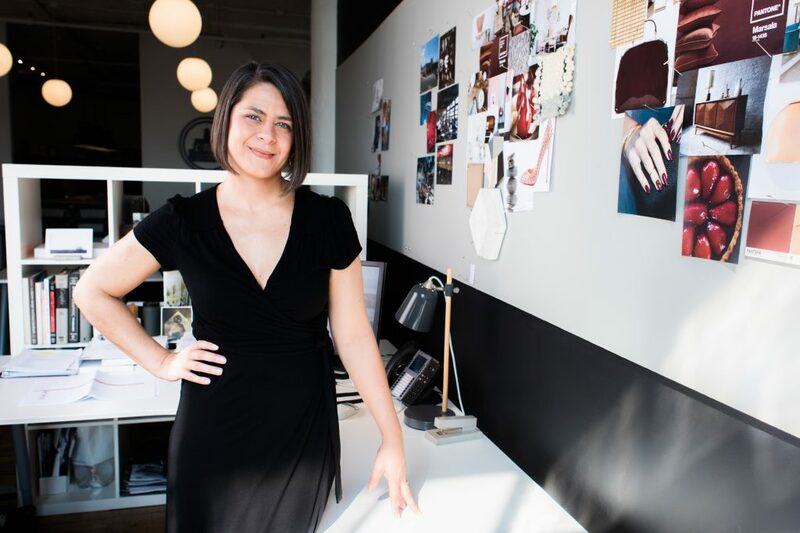 Kristie is a cultural anthropologist, a detail-driven partner, designer, and trend director. Her art is creating functional, evocative spaces. Kristie’s designs invite dialogue, nostalgia – engagement. She connects the dots between function, trends, and timeless design. She is focused on designing experiences that speak to clients’ passions while guiding them through the process from ideation to completion. She’s known for innovative, strategic brand development. She integrates travel and art into her designs, and in this way, applies a global sensibility to clients’ brand visions.